Sunday, 26 March 2017 – At 241.3 kilometres, the route of Gent-Wevelgem's 78th edition takes in three sectors of semi-paved road and ten hills. The super-steep Kemmelberg is decisive and eventually Keukeleire and Van Avermaet turn out on top. The Olympic Champion is fastest. Sunday, 26 March 2017 – At 241.3 kilometres, the route of Gent-Wevelgem's 78th edition takes in three sectors of semi-paved road and nine hills. The super-steep Kemmelberg is the last one, crested with 35 kilometres left to race. 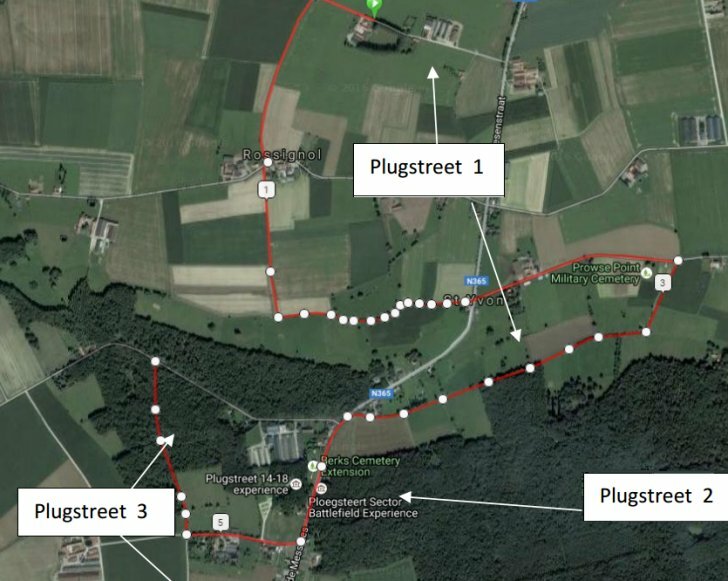 Cyclingstage.com takes a closer look at the route of Gent-Wevelgem 2017. Gent-Wevelgem is played out one week before the Tour of Flanders. Strong field featuring the likes of title holder and World Champion Peter Sagan, record holder Tom Boonen and Olympic Champion Greg Van Avermaet! Cyclingstage.com brings you the startlist of Gent-Wevelgem 2017. Gent-Wevelgem is a Flemish Classic for sprinters - that is, in theory. If the weather is as harsh as two years ago - heavy rain, strong winds - the scenario will be different. Then again, last year the race was decided with a successful break, too. So Gent-Wevelgem can play out in all sorts of ways.